A gentleman cadet undergoing pre-commissioned training at IMA (Indian Military Academy), Deepak Sharma died during the regular physical routine. Who was Cadet Deepak Sharma? Deepak Sharma was a resident of Bathinda. He was 22 years old and had recently joined the camp as a daily routine. He joined the IMA after completing his degree from Guru Nanak Dev University (GNDU). 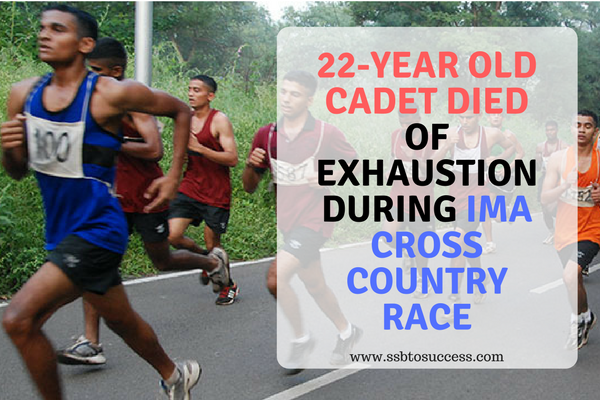 According to the media reports, the cadet Deepak Sharma was participating in the 10-km cross country race; which is a regular practice for the IMA cadets. However, during this race, he fainted in Badshashi Bagh. He was a few distance away from his destination. With immediate effect, he was transferred to the Lehman Hospital where he was declared brought dead. After police were informed at nearly 2:30 pm, the body was later sent for post-mortem at Coronation Hospital, Dehradun. As per the other six cadets are concerned, one of the officers claimed that they were not admitted to the Military Hospital, this morning. During the race, there were six other cadets too who were fainted during the race. Vikasnagar SHO SS Negi has denied saying anything about the exact reason of death. However, he has assured that the exact reason will be derived after postmortem. After the issue came into limelight, it has raised a big question mark on the health and fitness of the gentleman cadets undergoing training in IMA, NDA or other Training Academy. The Indian Army has strictly ordered the Court of Inquiry to detect the essential fats and find the root of the issue. The brother in law’s of Deepak, Dr. Rajiv Kapila has claimed that Deepak was physically fit and was cheerful during a telephonic conversation they held a day earlier. He also claimed that Cadet Deepak could not have collapsed. Defence Preparedness – How prepared are we?